Interventional radiology is a rapidly growing area of medicine. Interventional radiologists are physicians who specialize in minimally invasive, targeted treatments performed using imaging guidance. Interventional radiology procedures are an advance in medicine that often replace open surgical procedures. They are generally easier for the patient because they involve no large incisions, less risk, less pain and shorter recovery times. These procedures are typically much less invasive and much less costly than traditional surgery. 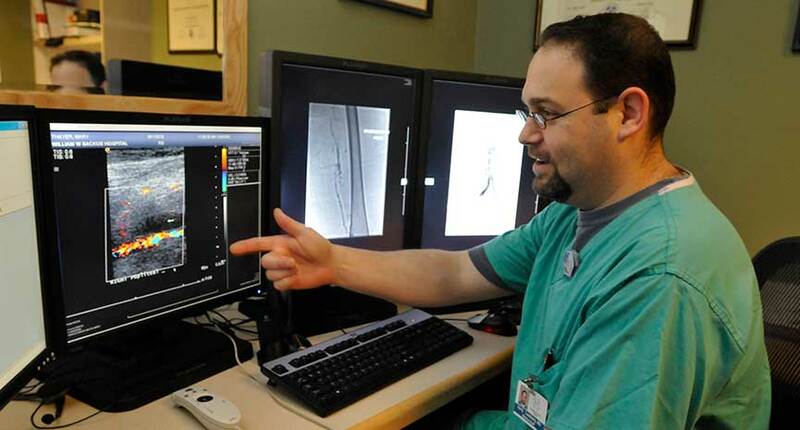 Interventional radiologists (IRs) use their expertise in reading X-rays, ultrasound and other medical images to guide small instruments such as catheters (tubes that measure just a few millimeters in diameter) through the blood vessels or other pathways to treat disease percutaneously (through the skin).